Professional Looking Business Plans, Balance Sheets, Income Statements, Cash Flow Statements And More." "Fed up with the time it’s taking you to write a business plan? Intimidated by complicated business plan software? Frustrated with your attempts to prepare financial statements?" "This revolutionary, super easy, yet staggeringly effective five-step business plan software will solve your problems - instantly!" Hi. If all that sounds familiar - you're not alone. Because millions - yes millions - of business owners and entrepreneurs like you suffer from exactly the same problems. The business plan gurus are continually telling us that the business plan document is often the first exposure an investor has to a company, often even before talking to the owner or entrepreneur on the phone or having a meeting. Whether you are starting-up a new business or expanding an old one - if your business plan doesn't grab your potential investors instantly, they're gone – sometimes forever! So even the best business idea in the world is absolutely worthless, if your business plan doesn't stop your readers and compel them to read more. 1. People will ask you for one. And you'll need to give them something. Most investors are not ready or willing to invest much time understanding your business in great detail until they know it even fits their investment strategy, target markets, or investment size. And, guess what? They don't need much information or much time to figure out whether you fit their investment criteria. But, when a business matches an investor’s “sweet spot,” I promise you, you'll know it! 2. People will need something that explains the details of your business. What are the terms of your deal? How much of the company are you selling and at what price? Are you seeking debt or equity financing? How will you use the funds? Last, but equally important, they'll assess the people involved in the deal: their track records, experience, complementary skills, time working together, the credentials of your banker, accountant, and legal counsel. 3. A business plan shows that you're credible. You've seemingly done your homework and are in the game if you have a written business plan. If your document includes careless mistakes or you leave out supporting details that investors expect, you can do more damage than good and even risk losing your credibility right at the start. 4. You're trying to raise more equity or debt financing. An updated business plan tells investors where you've been and where you're going. Don't assume that just because someone invested in you before that they'll invest in you again. Use your plan as a basis to track and update your progress to investors. 5. You need investors right now. Sorry: it just doesn't work this way. Not all investors are ready to invest. There are a whole set of reasons for why investors may not be ready to invest. They may have funds committed to other investments. They may be looking for a certain investment. Nurture these investors until they are ready to invest. That’s why it’s important to keep them up-to-date with your business, so when they are ready to invest they'll think of you. 6. You're competing for funding and your competitors all have business plans. Your plan is going to compete with hundreds of other plans for investors’ attention and money! So you don't want it to look like every other business plan that crosses prospective investors’ desks. Using business plan software can help you layout your particular plan logically to ensure that you communicate your message exactly the way you intend. In short, a business plan can make or break your financing efforts. But no matter how many 'How To Write A Business Plan' books they get their hands on, the plain fact is that most people don't have the time, the inclination, or the dedication to spend weeks and months to learn how. That's why some many turn to business plan software for help. "Do Any Of These Ring A Bell With You?" You have a great business idea - but you're struggling to get it on paper. You've tried other business plan software - but they're just not easy to use. Potential investors ask for your plan - but never follow-up. 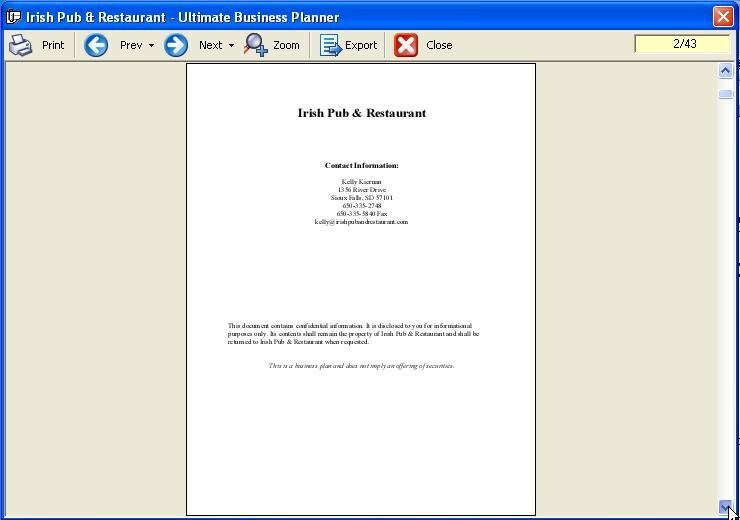 The business plan software you're using makes your business plan look identical to hundreds of other plans. Your executive summary just doesn't capture an investor’s attention. You're struggling to create the necessary financial forecasts. Your business concept is great, but you just can't lay it out in a cohesive plan. You're spending more time formatting your business plan then you are writing it. You just wish all your business-planning resources were in one business plan software package. Your business plan is drowning in a sea of competition. You're getting more and more Frustrated with writing your plan and your business plan software - BIG TIME! "The Business Plan Software Doesn't Do Its Job!" "The Business Plan Itself Just Plain Stinks!" Yet business plan software that quickly and easily allows you to create a business plan thaqt separates your business from other businesses is the difference between Success and Failure. Between Investors and Tire-kickers. Between Funding and Mediocrity! "The Vast Majority Of People 'Just Don't Get It"
I've seen many attempts at automating the business plan process. After all there is a huge demand for such a tool. But each and every business plan software package I've seen fails miserably...whether it's incomplete, too complicated, or just not flexible enough to allow you to create that special unique plan. At least not until now! And it's truly a staggering business plan software package! This business plan software takes the drudgery out of complex, time-consuming financial forecasting and business planning. It frees you up to focus on building your business case - and it's fun to boot. Since the business plan is THE most important part of attracting investors and raising capital, this business plan software tool is priceless. "How Does It Work? - WHY Does It Work?" Enter estimated income for 36 months. Complete your projection using the worksheet functions. Define your expense categories before entering monthly amounts. Enter estimated expenses for 36 months. Step-by-step interview gathers detailed information about your company’s assets, liabilities, and equity to automatically calculate the cash required at the beginning of your projection. to writing a successful business plan. A complete text editor to enter and edit your own text. "Ultimate Business Planner Is One Of A Kind. It's Unique. It's Super-Fast. And It Works!" But don't just take my word for it. 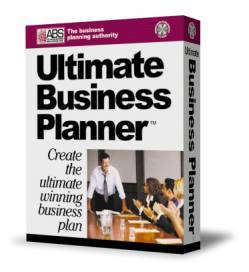 According to ABS, over 100,000 people have relied on Ultimate Business Planner’s technology since it was first released in 2001 to automatically generate their business plans. Effective business plans. Powerful business plans. Attention grabbing and Explosive business plans. Business plans that stand head and shoulders above the crowd. Business plans that attract investors and raise capital for your business! OK, maybe you think all business plan software is the same. I used to think the same until working with several packages and building my own complex Excel models. Well, the genius of Ultimate Business Planner is in its simplicity. Your Business Plan Doesn't Have To Look Like Every Other Plan"
The technology adapts a successful business planning process to suit YOUR individual and specific business. And does it beautifully! Letting you customize your plan to fit your strengthens. This business plan software package even gives you the ability to easily export your business plan to MS Word® and MS Excel® for even more freedom to customize your business plan and ensure it wins the attention of prospective investors, business associates, even government officials. All purchases made directly from ABS are backed by their 90-day, unconditional, money-back guarantee (excludes upgrades which are nonrefundable). Simply put, if you are not 100% satisfied with this business plan software package, return it to them for a full refund of the purchase price less shipping & handling. So stop struggling, agonizing, and sweating blood trying to create a business plan which even professionals find difficult to write. Download the New Ultimate Business Planner NOW , and watch those investors line-up and those Funding Checks come rolling in. It's about time isn't it? P.S. Look, pull your head out of the sand and face up to reality. If you are struggling to complete your business plan you're losing valuable time, this staggering business plan software package can revolutionize your business plan process - and your funding. So get started now and totally transform your business within minutes. After all, your success is guaranteed or your money back - Period!